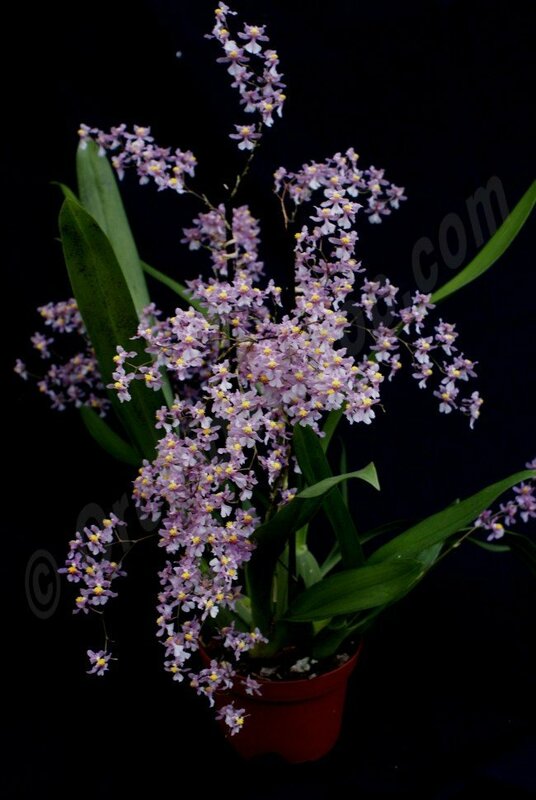 The Oncidium ornithorynchum was discovered at the beginning of the 19th century in South Mexico. The name derives from the flower, which looks like a bird head with a beak. It has been recently discovered that the name has been used wrong for years! Until a while ago, it was thought that this name described a Central-American, pink flowered, strong scenting orchid. In 2010 it was discovered that this name actually described a yellow flowered species out of Colombia, Ecuador and Peru that was formerly known as Oncidium pyramidale. 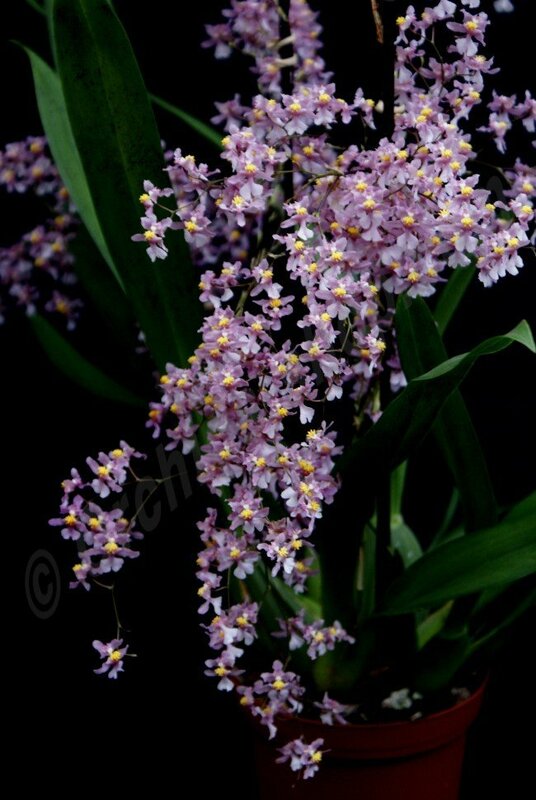 If you are looking for the pink edition, the new name is the ‘Oncidium sotoanum’. The Oncidium sotoanum (formerly known as ornithorynchum) produces multiple flower branches and can even get up to 300 flowers when it’s grown up! The flowers look like small pink flying angels with multiple wings. The flowers of the Oncidium sotoanum have a strong fragrance, which makes this plant one of the few Oncidiums with a strong fragrance! In the morning, this fragrance smells like cinnamon mixed with a hint of vanilla. In the afternoon this becomes more of a vanilla scent mixed with baby powder and hint of cinnamon. This botanic species has not only been the beginning of almost every Oncidium Twinkle hybrid, but is also the parent of the Oncidium Katharina Zoch ‘Mieke’! The plant does well in the living room and is easy to maintain. A real must-have for every orchid lover!